The Ethiopian Empire (Tigrinya : ንጉሠ ነገሥት መንግሥቲ ዘ ኢትዮጵያ, Amharic : የኢትዮጵያ ንጉሠ ነገሥት መንግሥተ, Mängəstä Ityop'p'ya), also known as Abyssinia (derived from the Arabic al-Habash ),  was a kingdom that spanned a geographical area in the current states of Eritrea and Ethiopia. It began with the establishment of the Solomonic dynasty from approximately 1270 and lasted until 1974, when the ruling Solomonic dynasty was overthrown in a coup d'état by the Derg. Tigrinya, often written as Tigrigna is an Afro-Asiatic language, belonging to the family's Semitic branch. It is spoken by ethnic Tigray-Tigrinya in the Horn of Africa. Tigrinya speakers primarily inhabit the Tigray Region in northern Ethiopia (6.1%), where its speakers are called Tigrawot, as well as the contiguous borders of southern and central Eritrea (57%), where speakers are known as the Bihere-Tigrinya. Tigrinya is also spoken by groups of emigrants from these regions, including some Beta Israel. Al-Habash was an ancient region in the Horn of Africa. Situated in the northern highlands of modern-day Eritrea and Ethiopia, it was inhabited by the Habash or Abyssinians, who were the forebears of the Habesha people. Eritrea, officially the State of Eritrea, is a country in the Horn of Africa, with its capital at Asmara. It is bordered by Sudan in the west, Ethiopia in the south, and Djibouti in the southeast. The northeastern and eastern parts of Eritrea have an extensive coastline along the Red Sea. The nation has a total area of approximately 117,600 km2 (45,406 sq mi), and includes the Dahlak Archipelago and several of the Hanish Islands. 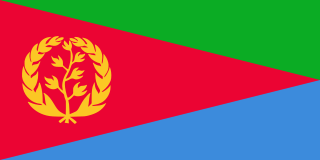 Its toponym Eritrea is based on the Greek name for the Red Sea, which was first adopted for Italian Eritrea in 1890. The territory of present-day Eritrea was occupied by Italy in 1890 and became Italian Eritrea. Following the British occupation of Egypt in 1882, Ethiopia and Liberia were the only two African nations to remain independent during the Scramble for Africa by the European imperial powers in the late 19th century. Ethiopia remained independent after defeating Italians during the First Italo-Ethiopian War. Later, after the Second Italo-Ethiopian War, the Italian Empire occupied Ethiopia briefly for five years and established the Italian East Africa colony in the region. The Italians were later driven out with the help of the British army. The country was one of the founding members of the United Nations in 1945. The Kingdom of Italy was a state which existed from 1861—when King Victor Emmanuel II of Sardinia was proclaimed King of Italy—until 1946—when civil discontent led a institutional referendum to abandon the monarchy and form the modern Italian Republic. The state was founded as a result of the unification of Italy under the influence of the Kingdom of Sardinia, which can be considered its legal predecessor state. Italian Eritrea was a colony of the Kingdom of Italy in the territory of present-day Eritrea. Although it was formally created in 1890, the first Italian settlements in the area were established in 1882 around Assab. The colony officially lasted until 1947. The history of Egypt under the British lasts from 1882, when it was occupied by British forces during the Anglo-Egyptian War, until 1956, when the last British forces withdrew in accordance with the Anglo-Egyptian agreement of 1954 after the Suez Crisis. The first period of British rule (1882–1914) is often called the "veiled protectorate". During this time the Khedivate of Egypt remained an autonomous province of the Ottoman Empire, and the British occupation had no legal basis but constituted a de facto protectorate over the country. This state of affairs lasted until the Ottoman Empire joined the First World War on the side of the Central Powers in November 1914 and Britain unilaterally declared a protectorate over Egypt. The ruling khedive was deposed and his successor, Hussein Kamel, compelled to declare himself Sultan of Egypt independent of the Ottomans in December 1914. By 1974, Ethiopia was one of only three countries in the world to have the title of Emperor for its head of state, together with Japan and Iran under the Pahlavi dynasty. It was the second-to-last country in Africa to use the title of Emperor; the only one later was the Central African Empire, which was implemented between 1976 and 1979 by Emperor Bokassa I. An emperor is a monarch, and usually the sovereign ruler of an empire or another type of imperial realm. Empress, the female equivalent, may indicate an emperor's wife, mother, or a woman who rules in her own right. Emperors are generally recognized to be of a higher honour and rank than kings. In Europe, the title of Emperor has been used since the Middle Ages, considered in those times equal or almost equal in dignity to that of Pope due to the latter's position as visible head of the Church and spiritual leader of the Catholic part of Western Europe. 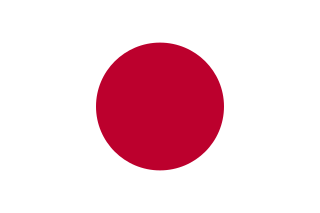 The Emperor of Japan is the only currently reigning monarch whose title is translated into English as Emperor. Iran, also called Persia, and officially the Islamic Republic of Iran, is a country in Western Asia. With over 81 million inhabitants, Iran is the world's 18th most populous country. Comprising a land area of 1,648,195 km2 (636,372 sq mi), it is the second largest country in the Middle East and the 17th largest in the world. Iran is bordered to the northwest by Armenia and the Republic of Azerbaijan, to the north by the Caspian Sea, to the northeast by Turkmenistan, to the east by Afghanistan and Pakistan, to the south by the Persian Gulf and the Gulf of Oman, and to the west by Turkey and Iraq. The country's central location in Eurasia and Western Asia, and its proximity to the Strait of Hormuz, give it geostrategic importance. Tehran is the country's capital and largest city, as well as its leading economic and cultural center. 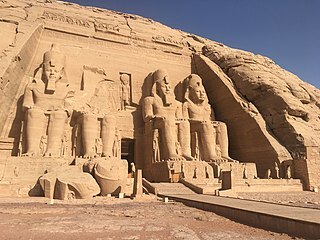 Ancient Egypt was a civilization of ancient North Africa, concentrated along the lower reaches of the Nile River in the place that is now the country Egypt. Ancient Egyptian civilization followed prehistoric Egypt and coalesced around 3100 BC with the political unification of Upper and Lower Egypt under Menes. 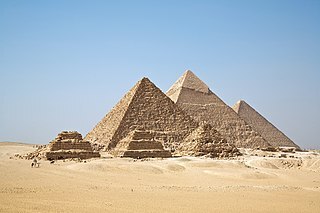 The history of ancient Egypt occurred as a series of stable kingdoms, separated by periods of relative instability known as Intermediate Periods: the Old Kingdom of the Early Bronze Age, the Middle Kingdom of the Middle Bronze Age and the New Kingdom of the Late Bronze Age. The Land of Punt was an ancient kingdom. A trading partner of Egypt, it was known for producing and exporting gold, aromatic resins, blackwood, ebony, ivory, and wild animals. The region is known from ancient Egyptian records of trade expeditions to it. It is possible that it corresponds to Opone as later known by the ancient Greeks, while some biblical scholars have identified it with the biblical land of Put or Havilah. The Kebra Nagast is a 14th-century account written in Ge'ez, an ancient South Semitic language that originated in modern-day Ethiopia and Eritrea. Wallis Budge, an English Egyptologist, Orientalist, and philologist who worked for the British Museum created an English translation called The Glory of the Kings. It is considered to hold the genealogy of the Solomonic dynasty, which followed the Ethiopian Orthodox Church. 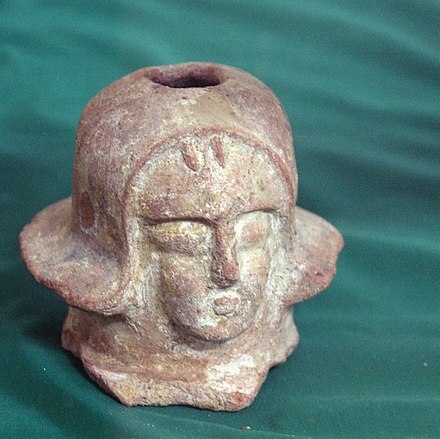 Gudit was a non-Christian queen who laid waste to Axum and its countryside, destroyed churches and monuments, and attempted to exterminate the members of the ruling dynasty of the Kingdom of Aksum. Her deeds are recorded in the oral tradition and mentioned incidentally in various historical accounts. The Sultanate of Showa also known as Makhzumi Dynasty was a Muslim kingdom situated in the territory of present-day Ethiopia. It was situated in the vicinity of the town of Walale. Its location was in northern Hararghe in Harla territory. The port of Zeila may have influenced the kingdom. The rise of the Makhzumi state at the same time resulted in the decline of the Kingdom of Axum. Several engravings dating back to the 13th century showing the presence of the kingdom are found in Chelenqo, Bate, Harla near Dire Dawa and Munessa near Lake Langano. The earliest Muslim state in Ethiopia, the Makhzumi dynasty with its capital in Wahal, Hararghe region succeeds Queen Badit. The Zagwe kingdom another dynasty with its capital at Adafa, emerged not far from modern day Lalibela in the Lasta mountains. The Zagwe continued the Orthodox Christianity of Aksum and constructed many rock-hewn churches such as the Church of Saint George in Lalibela. The dynasty would last until its overthrow by a new regime claiming descent from the old Aksumite kings. Hararghe was a province in the eastern part of Ethiopia, with its capital in Harar. Including Ethiopia's part of the Ogaden, Haraghe was bounded on the south by Sidamo, southwest by Arsi, west by Shewa, northwest by Wollo, northeast by French Somaliland, and on the east by Somalia. Hararghe was the historical homeland of the Harla people. Lalibela is a town in Amhara Region, Ethiopia famous for its rock-cut monolithic churches. The whole of Lalibela is a large antiquity of the medieval and post-medieval civilization of Ethiopia. Lalibela is one of Ethiopia's holiest cities, second only to Axum, and a center of pilgrimage. Unlike Axum, the population of Lalibela is almost completely Ethiopian Orthodox Christian. Rock-cut architecture is the creation of structures, buildings, and sculptures by excavating solid rock where it naturally occurs. Rock-cut architecture is designed and made by man from the start to finish. In India and China, the terms 'cave' and 'cavern' are often applied to this form of man-made architecture. However, caves and caverns, that began in natural form, are not considered to be 'rock-cut architecture' even if extensively modified. Although rock-cut structures differ from traditionally built structures in many ways, many rock-cut structures are made to replicate the facade or interior of traditional architectural forms. Interiors were usually carved out by starting at the roof of the planned space and then working downward. This technique prevents stones falling on workers below. The three main uses of rock-cut architecture were temples, tombs and cave dwellings. Map of medieval Ethiopian provinces, with sub-provinces in smaller lettering. In 1270, the Zagwe dynasty was overthrown by a king claiming lineage from the Aksumite kings and, hence, from Solomon. The eponymously named Solomonic dynasty was founded and ruled by the Abyssinians, from whom Abyssinia gets its name. The Abyssinians reigned with only a few interruptions from 1270 until the late 20th century. This dynasty governed large parts of Ethiopia through much of its modern history. During this time, the empire conquered and annexed various kingdoms into its realm. The dynasty also successfully fought off Italian, Ottoman and Egyptian forces and made fruitful contacts with some European powers. In 1529, the Adal Sultanate's forces led by Ahmad ibn Ibrahim al-Ghazi invaded the Ethiopian Empire in what is known as the Abyssinian–Adal war. The Adal occupation lasted fourteen years. During the conflict, the Adal Sultanate employed cannons provided by the Ottoman Empire. In the aftermath of the war, Adal annexed Ethiopia, uniting it with territories in what is now Somalia. In 1543, with the help of the Portuguese Empire, the Solomonic dynasty was restored. By 1607, Oromos were also major players in the imperial politics, when Susenyos I, raised by a clan through gudifacha (or adoption), took power. He was helped by fellow Luba age-group generals Mecha, Yilma and Densa, who were rewarded by Rist feudal lands, in the present-day Gojjam districts of the same name. Susenyos reign was also marked by his short-lived conversion to Catholicism, which ignited a major civil war. His son Fasilides I reverted the move. The Wallo and Yejju clans rise to power culminated in 1755, when Emperor Iyoas I ascended to the imperial throne in Gondar. They would be one of the major factions contending for imperial power during the ensuing Zemene Mesafint, starting from 1769, when Mikael Sehul, Ras of Tigray killed Iyoas I and replaced him by Yohannes II. The Early Modern period was one of intense cultural and artistic creation. Notable philosophers from that area are Zera Yacob (philosopher) and Walda Heywat. 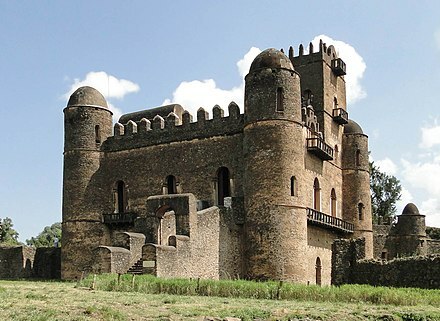 The city of Gondar became the capital in 1636, with several fortified castles built in the town and in its surrounding areas. Emperor Tewodros II's rise to the throne marked the end of the Zemene Mesafint . From 1769 to 1855, the Ethiopian empire passed through a period known as the "Princes Era" (in Amharic Zemene Mesafint). This was a period of Ethiopian history with numerous conflicts between the various ras (equivalent to the English dukes) and the emperor, who had only limited power and only dominated the area around the contemporary capital of Gondar. Both the development of society and culture stagnated in this period. Religious conflict, both within the Ethiopian Orthodox Church and between them and the Muslims were often used as a pretext for mutual strife. The Princes Era ended with the reign of the Emperor Tewodros II. 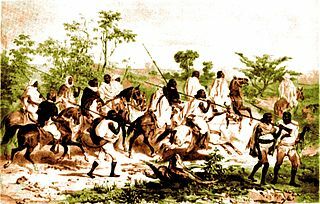 In 1868, following the imprisonment of several missionaries and representatives of the British government, the British engaged in the punitive Expedition to Abyssinia. This campaign was a success for Britain and the Ethiopian emperor committed suicide. The 1880s were marked by the Scramble for Africa. Italy, seeking a colonial presence in Africa, invaded Ethiopia and following a successful conquest of some coastal regions, forced the Treaty of Wuchale upon Shewa (an autonomous kingdom within the Ethiopian Empire), creating the colony of Eritrea. Due to significant differences between the Italian and Amharic translations of the Treaty of Wuchale, Italy believed they had subsumed Ethiopia as a client state. Ethiopia repudiated the treaty in 1893. Insulted, Italy declared war on Ethiopia in 1895. The First Italo-Ethiopian War resulted in the 1896 Battle of Adwa, in which Italy was decisively defeated. As a result, the Treaty of Addis Ababa was signed in October, which strictly delineated the borders of Eritrea and forced Italy to recognize the independence of Ethiopia. Delegations from the United Kingdom and France –European powers whose colonial possessions lay next to Ethiopia –soon arrived in the Ethiopian capital to negotiate their own treaties with this newly-proven power. In 1935 Italian soldiers, commanded by Marshal Emilio De Bono, invaded Ethiopia in what is known as the Second Italo-Ethiopian War. The war lasted seven months before an Italian victory was declared. The Ethiopian Empire was incorporated into the Italian colony of Italian East Africa. The invasion was condemned by the League of Nations, though not much was done to end the hostility. During the conflict, Italy used sulfur mustard in chemical warfare, ignoring the Geneva Protocol that it had signed seven years earlier. The Italian military dropped mustard gas in bombs, sprayed it from airplanes and spread it in powdered form on the ground. 150,000 chemical casualties were reported, mostly from mustard gas. In the aftermath of the war Italy annexed Ethiopia, uniting it with Italy's other colonies in eastern Africa to form the new colony of Italian East Africa, and Victor Emmanuel III of Italy adopted the title "Emperor of Abyssinia". On 10 June 1940, Italy declared war on the United Kingdom and France, as France was in the process of being conquered by Germany at the time and Benito Mussolini wished to expand Italy's colonial holdings. The Italian conquest of British Somaliland in August 1940 was successful, but the war turned against Italy afterward. Haile Selassie returned to Ethiopia from England to help rally the resistance. The British began their own invasion in January 1941 with the help of Ethiopian freedom fighters, and the last organized Italian resistance in Italian East Africa surrendered in November 1941, ending Italian rule. 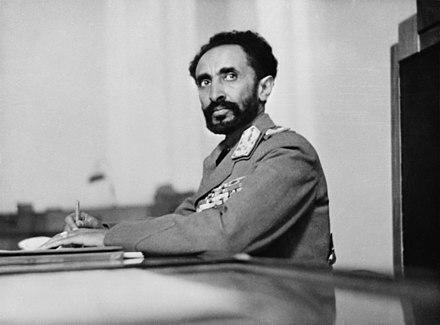 Haile Selassie was the last Emperor of the Ethiopian Empire. Menelik I was the first emperor of Ethiopia and of Hebrew descent. Ruling in the 10th century BC, he established the inaugural Solomonic dynasty. Amharas mistakenly also known as Abyssinians by some Western Sources, Amharas are an ethnic group traditionally inhabiting parts of the northern and central highlands of Ethiopia, particularly in Addis Ababa and the Amhara Region. According to the 2007 national census, Amharas numbered 19,867,817 individuals, comprising 26.9% of Ethiopia's population and they are mostly Orthodox Christians members of Ethiopian Orthodox church. They are also found within the Ethiopian expatriate community, particularly in North America. They speak Amharic, an Afro-Asiatic language of the Semitic branch, a member of the Ethiosemitic group, which serves as the official language of Ethiopia. The Emperor of Ethiopia was the hereditary ruler of the Ethiopian Empire, until the abolition of the monarchy in 1975. The Emperor was the head of state and head of government, with ultimate executive, judicial and legislative power in that country. A National Geographic Magazine article called imperial Ethiopia "nominally a constitutional monarchy; in fact [it was] a benevolent autocracy". Shewa, formerly romanized as Shua, is a historical region of Ethiopia, formerly an autonomous kingdom within the Ethiopian Empire. The modern Ethiopian capital Addis Ababa is located at its center. The Solomonic dynasty, also known as the House of Solomon, is the former ruling Imperial House of the Ethiopian Empire. The dynasty's members claim lineal descent from the biblical King Solomon and the Queen of Sheba. Tradition asserts that the Queen gave birth to Menelik I after her biblically described visit to Solomon in Jerusalem. In 1270, the Zagwe dynasty of Ethiopia was overthrown by Yekuno Amlak, who claimed descent from Solomon and reinitiated the Solomonic era of Ethiopia. The dynasty would last until 1974, ended by a coup d'état and deposition of the emperor Haile Selassie. The Zagwe dynasty was the ruling dynasty of a Medieval kingdom in present-day northern Ethiopia. The kingdom itself was perhaps called Begwena, after the historical name of the Lasta province. Centered at Lalibela, it ruled large parts of the territory from approximately 900 to 1270, when the last Zagwe King Za-Ilmaknun was killed in battle by the forces of the Abyssinian King Yekuno Amlak. The name of the dynasty is thought to derive from the ancient Ge'ez phrase Ze-Agaw, meaning "Dynasty of the Agaw" in reference to the Agaw people that constituted its ruling class. Zagwe's best-known King was Gebre Mesqel Lalibela, who is credited with having constructed the rock-hewn monolithic churches of Lalibela. Newaya Krestos was Emperor (1344–1372) of the Ethiopian Empire, and a member of the Solomonic dynasty. He was the eldest son of Amda Seyon I. This is a list of monarchies of Ethiopia that existed throughout the nation's history. It is divided into kingdoms that were subdivisions of Ethiopia, and kingdoms that were later conquered by Ethiopia. Ancient kingdoms fall into neither category. 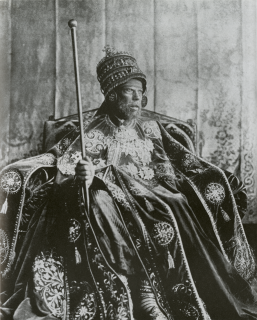 Tekle Giyorgis II was nəgusä nägäst (Emperor) of Ethiopia from 1868 to 1871. Gugsa of Yejju was a Ras of Begemder, and Inderase (regent) of the Emperor of Ethiopia. According to Nathaniel Pearce, he took the Christian name of Wolde Mikael. He was the son of Mersu Barentu and Kefey, the sister of Ras Aligaz. Both Bahru Zewde and Paul B. Henze consider his reign as Ras and Enderase as the peak of the Yejju Dynasty during the Zemene Mesafint. 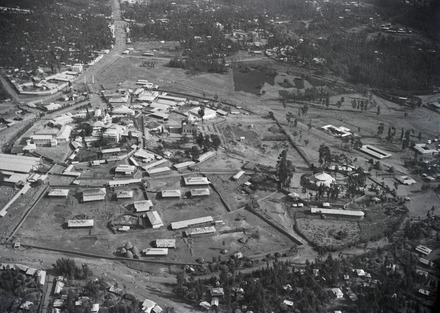 The Zemene Mesafint was a period in Ethiopian history between the mid-18th and mid-19th centuries when the country was de facto divided within itself into several regions with no effective central authority. It was a period in which the Emperors from the Solomonic dynasty were reduced to little more than figureheads confined to the capital city of Gondar. The Sultanate of Aussa was a kingdom that existed in the Afar Region eastern Ethiopia in the 18th and 19th centuries. It was considered to be the leading monarchy of the Afar people, to whom the other Afar rulers nominally acknowledged primacy. The article covers the prehistory and history of Ethiopia from its emergence as an empire under the Aksumites to its current form as the Federal Democratic Republic of Ethiopia as well as the history of other areas in what is now Ethiopia such as the Afar Triangle. The Ethiopian Empire (Abyssinia) was first founded by Ethiopian people in the Ethiopian Highlands. Due to migration and imperial expansion, it grew to include many other primarily Afro-Asiatic-speaking communities, including Oromos, Amhara, Somalis, Tigray, Afars, Sidama, Gurage, Agaw and Harari, among others. The Great Oromo migrations, also known as the Oromo migrations, were a series of expansions in the 16th and the 17th centuries by the Oromo people from southern Ethiopia, namely the contemporary Borana and Guji zones, into more northerly regions of Ethiopia. The expansion had a profound impact on subsequent historical events occurring in Ethiopia. 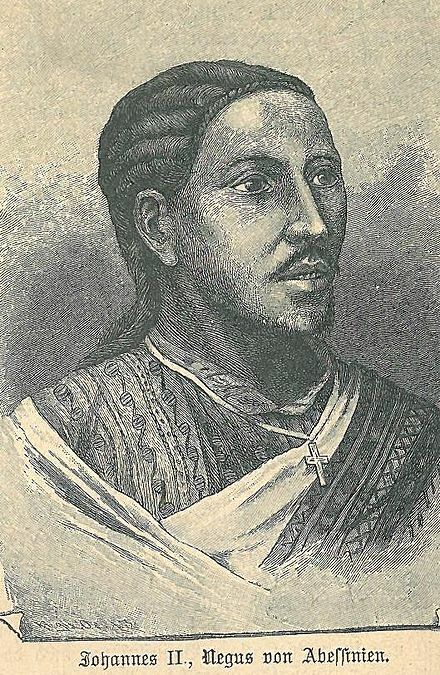 Wube Haile Maryam, also called Wube Haile Mariam or Dejazmach Wube, (1800–1867) was a regional ruler and dejazmach in Tigray, Simien, and other coastal territories, in an area that is now part of northern Ethiopia and central Eritrea. Wube is remembered in Eritrea for barbarous military raids. He was defeated and imprisoned in 1855 by Kassa Hailu. Some sources date Wube's defeat as the end of Ethiopia's Zemene Mesafint era. Ethiopian historiography embodies the ancient, medieval, early modern and modern disciplines of recording the history of Ethiopia, including both native and foreign sources. The roots of Ethiopian historical writing can be traced back to the ancient Kingdom of Aksum. These early texts were written in either the Ethiopian Ge'ez script or the Greek alphabet, and included a variety of mediums such as manuscripts and epigraphic inscriptions on monumental stelae and obelisks documenting contemporary events. The writing of history became an established genre in Ethiopian literature during the early Solomonic dynasty (1270–1974). In this period, written histories were usually in the form of royal biographies and dynastic chronicles, supplemented by hagiographic literature and universal histories in the form of annals. Christian mythology became a linchpin of medieval Ethiopian historiography due to works such as the Orthodox Kebra Nagast. This reinforced the genealogical traditions of Ethiopia's Solomonic dynasty rulers, which asserted that they were descendants of Solomon, the legendary King of Israel. ↑ "Ethiopia (1930-1975)". 16 January 2013. Retrieved 14 September 2016. ↑ Nathaniel T. Kenney (1965). "Ethiopian Adventure". National Geographic . 127: 555. ↑ Negash, Tekeste (2006). "The Zagwe Period and the Zenith of Urban Culture in Ethiopia, Ca. 930-1270 Ad". Africa: Rivista Trimestrale di Studi e Documentazione Dell'istituto Italiano Per l'Africa e l'Oriente. 61 (1): 120–137. JSTOR 40761842. ↑ "Ethiopia Ends 3,000 Year Monarchy". Milwaukee Sentinel . 22 March 1975. p. 3. ↑ "Ethiopia ends old monarchy". The Day. 22 March 1975. p. 7. ↑ Henc van Maarseveen; Ger van der Tang (1978). Written Constitutions: A Computerized Comparative Study. Brill. p. 47. ↑ "Ethiopia". The World Factbook . Central Intelligence Agency. 1987. ↑ E. A. Wallis Budge (1 August 2014). A History of Ethiopia: Volume I: Nubia and Abyssinia. Routledge. p. 7. ISBN 9781317649151. ↑ Oliver, Roland (1975). The Cambridge History of Africa, Volume 3. Cambridge University Press. p. 106. ISBN 9780521209816. ↑ Braukhaper, Ulrich (2002). Islamic History and Culture in Southern Ethiopia: Collected Essays. LIT Verlag Münster. p. 21. ISBN 9783825856717 . Retrieved 12 March 2017. ↑ Richard Pankhurst, The Ethiopian Borderlands (Trenton: Red Sea Press, 1997), pp. 241f. ↑ Akyeampong, Emmanuel. "Dictionary of African Biography". OUP USA. 1–6: 451. ↑ Pankhurst, Richard (1997). The Ethiopian Borderlands: Essays in Regional History from Ancient Times to the End of the 18th Century. The Red Sea Press. p. 375. ↑ John Young (1998). "Regionalism and Democracy in Ethiopia". Third World Quarterly. 19 (2): 192. doi:10.1080/01436599814415. JSTOR 3993156. ↑ International Crisis Group, "Ethnic Federalism and its Discontents". Issue 153 of ICG Africa report (4 September 2009) p. 2. ↑ Haberland, Eike (1983). "An Amharic Manuscript on the Mythical History of the Adi kyaz (Dizi, South-West Ethiopia)". Cambridge University Press on Behalf of School of Oriental and African Studies. 46 (2): 240. Retrieved 18 December 2017. ↑ Edward C. Keefer (1973). "Great Britain and Ethiopia 1897–1910: Competition for Empire". International Journal of African Studies. 6 (3): 470. doi:10.2307/216612. JSTOR 216612. ↑ Jack, Ian (2001). Necessary Journeys. Granta. p. 124. ISBN 978-1-929001-03-3. Adejumobi, Saheed A. (2007). The History of Ethiopia. Westport: Greenwood Publishing Group. ISBN 978-0-313-32273-0. Pankhurst, Richard (2001). The Ethiopians: A History. Oxford: Blackwell Publishing. pp. 299 Pages. ISBN 978-0-631-22493-8. Shillington, Kevin (2004). Encyclopedia of African History, Vol. 1. London: Routledge. pp. 1912 Pages. ISBN 978-1-57958-245-6. "Abyssinia" . Encyclopædia Britannica . 1 (11th ed.). 1911. "Ethiopia" . Encyclopædia Britannica . 9 (11th ed.). 1911. "Abyssinia" . Collier's New Encyclopedia . 1921.